Accepting the invitation of Portugese Foreign Minister Augusto Santos Silva, Vietnamese Deputy Prime Minister and Foreign Minister Pham Binh Minh made an official visit to Portugal from May 25-26/2017. As part of the Vietnamese official’s visit to Portugal, on May 25 during their meeting with President of the Portuguese Parliament Eduardo Ferro Rodrigues, the host said Portugal attaches special importance to and wishes to deepen the friendship and cooperation, including legislative ties, with Vietnam. The two sides expressed their joy at the flourishing development of friendship and cooperation in recent time, and agreed to forge exchange of visits and meetings at all levels, towards effectively and extensively promoting the bilateral ties. The President of Portuguese Parliament stated that Portugal is willing to share experience in law-making and supervision with the Vietnamese National Assembly, and supports the signing and approval of the Vietnam-EU Free Trade Agreement. Eduardo Ferro Rodrigues also appreciated the role and position of Vietnam in the Southeast Asia region, asserting that the Portuguese parliament backs all-around cooperation with Vietnam, especially economic, trade, cultural and tourism links, especially the signing and approval of the Vietnam EU Free Trade Agreement (EVFTA). 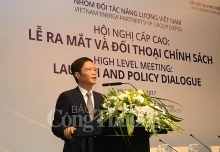 Meanwhile, the Vietnamese official spoke highly of the role of Portugal in the EU as well as in addressing common issues of the international community. He asked Portugal’s parliament to assist and encourage Portuguese enterprises to expand business and investment in Vietnam, affirming that Vietnam always creates favourable conditions for foreign firms. The two nations should continue supporting each other at multilateral forums such as the UN, the Asia-Europe Meeting (ASEM), the EU-ASEAN cooperation mechanism, the Inter-Parliamentary Union, and the Asia-Europe Parliamentary Partnership (ASEP), he suggested. 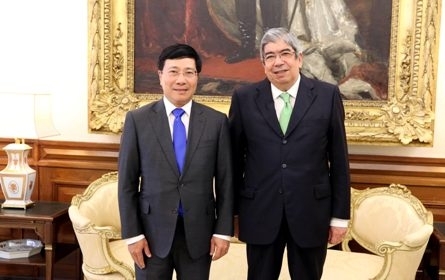 Vietnamese Deputy PM and FM Pham Binh Minh conveyed the invitation of Vietnam NA Chairwoman Nguyen Thi Kim Ngan to President Eduardo Ferro Rodrigues to visit Vietnam and the president accepted the invitation with pleasure.